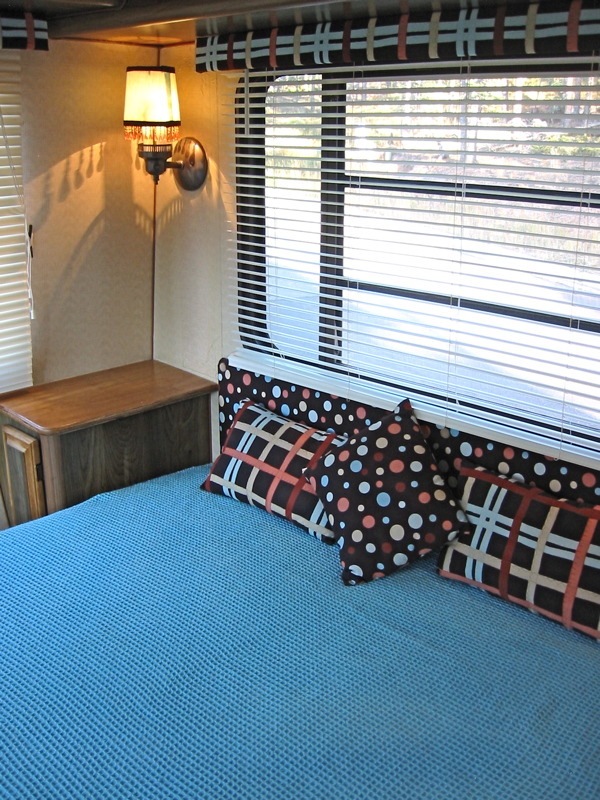 The headboard and pillows were covered to coordinate with the rest of the interior finishes in the coach. The bed is a Sealy mattress and is very comfortable. 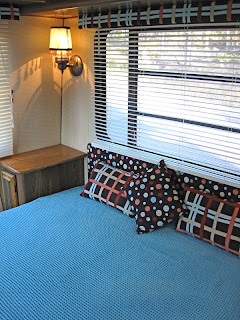 In this picture you can see the refinished tops on the bedside tables (which each have storage).